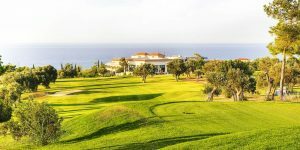 With what some would describe as the perfect climate for a golf holiday, this beautiful Mediterranean island comes complete with stunning scenery and picturesque cities. 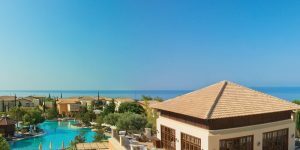 With resorts like Aphrodite Hills comprising of both the five-star luxury Aphrodite Resort Hotel and the luxurious Aphrodite Hills Residences and the fine hotels in Paphos located on the seafront such as the Olympic Lagoon and the Almyra, Cyprus is the ideal destination for a golf holiday. 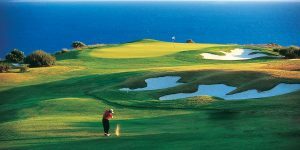 Backed up by the Nick Faldo design at Elea, the Donald Steel design at Minthis Golf Club and the Tony Jacklin signature course at Secret Valley, the PGA National Cyprus (Aphrodite Hills) course is the pick of the bunch on the island. 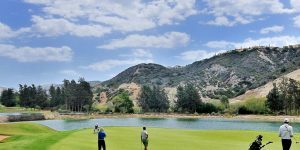 Built on two sides of the valley with the daunting Par 3 7th linking the course together over the deep gorge, the Cabell Robinson layout is a must play for any hardened golfer. 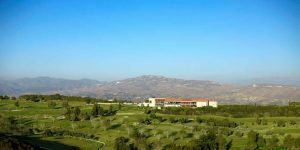 Combine all four is the best way to make the most of your Cypriot golf break. 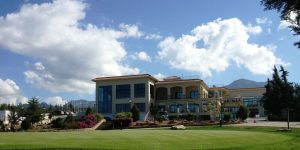 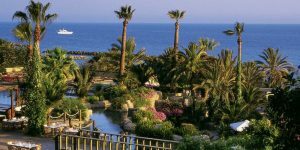 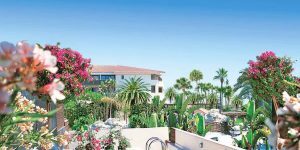 If the south of the island is not your thing, you can head to Kyrenia in the north of the island where the Korineum Golf Resort lies with an 18 hole Championship course and two great golf hotels on-site. 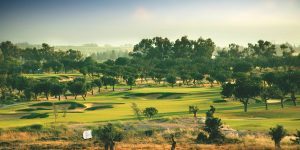 Breathtaking views, sandy beaches and a lively resort await you for one of the best value golf trips available in Europe.